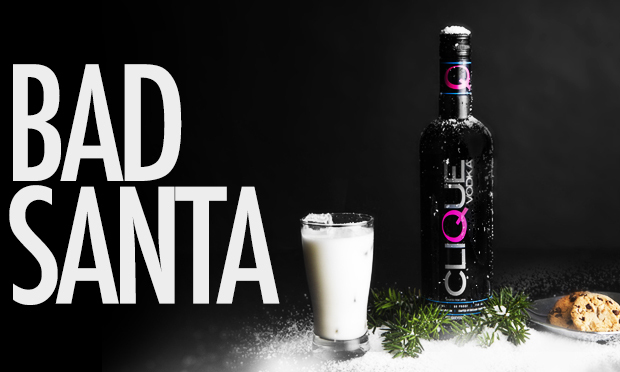 Need a little extra holiday spirit? 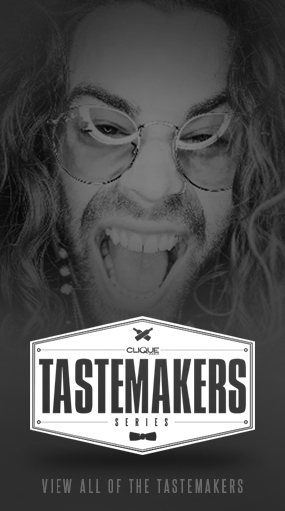 In cocktail tin full of ice, shake 1 1/2 oz Clique Vodka, 3/4 oz Frangelico (a hazelnut liqueur), 3/4 oz clear creme de cacao (chocolate liqueur), and 1/4 oz cream vigorously for at least 30 seconds, then pour into a tall glass. 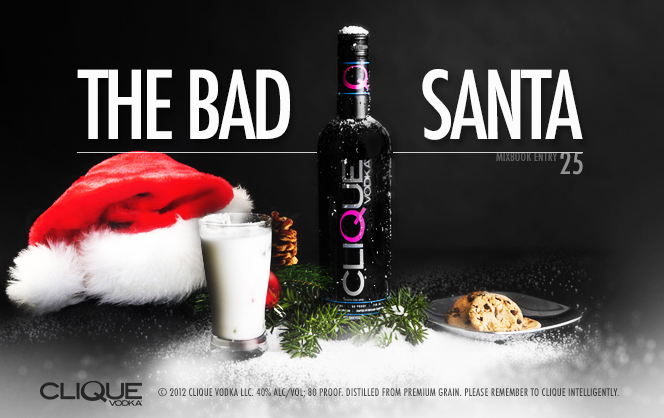 I highly recommend pairing this cocktail with a few holiday cookies, and an awesome holiday movie for best results, but however you enjoy The Bad Santa, be sure to tag your Instagram pics with #CliqueShots to show us! 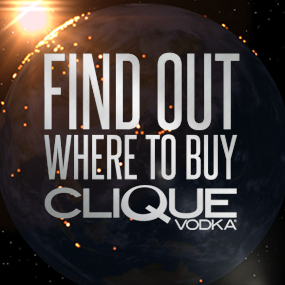 There is still a few Clique Vodka Holiday Gift Sets to be won, and wouldn’t that just make you full of Holiday Cheer?